This article is about a Wall Street employee who started a venture of selling books online, which turned into a billion dollar idea; and made him the richest person in the world with a net worth of $110 billion and owner of the company as the current largest Internet sales online company. This is Jeff Bezos and Amazon. 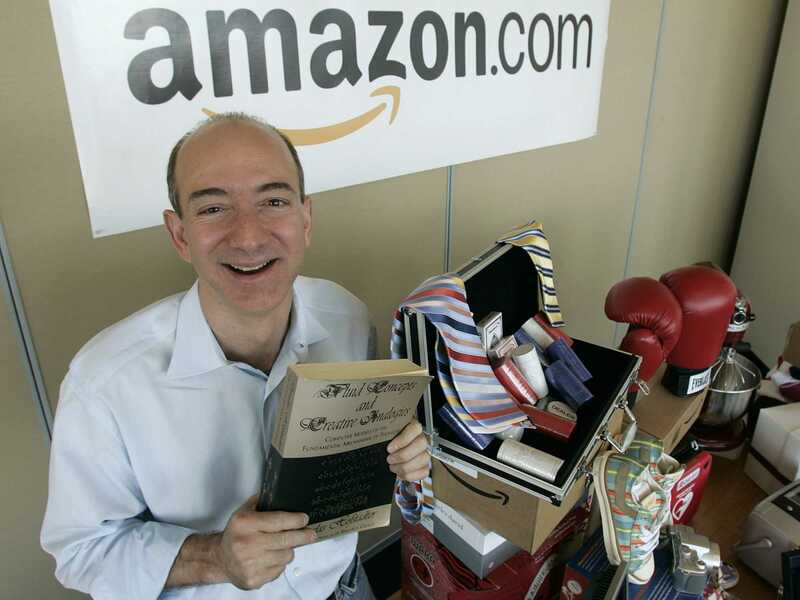 Let us take a glimpse of the story behind Amazon and its success. In 1994, Bezos left his employment as vice-president of D. E. Shaw & Co., a Wall Street firm, and moved to Seattle, Washington. He began to work on a business plan for what would eventually become Amazon.com. Bezos initially incorporated the company with the name ‘Cadabra’; Inc. Bezos changed the name to Amazon.com, Inc. a few months later, after a lawyer misheard its original name as "cadaver". In September 1994, Bezos purchased the URL Relentless.com and briefly considered naming his online store Relentless, but friends told him the name sounded a bit sinister. So, the company went online Amazon.com in 1995. The Amazon River, he noted, was the biggest river in the world, and he planned to make his store the biggest bookstore in the world. Bezos placed a premium on his head start in building a brand and told a reporter, "There's nothing about our model that can't be copied over time. But you know McDonald's got copied. And it still built a huge, multibillion-dollar company”. Bezos created a list of 20 products that could be marketed online. He narrowed the list to what he felt were the five most promising products, which included: compact discs, computer hardware, computer software, videos, and books. Bezos finally decided that his new business would sell books online, due to the large worldwide demand for literature, the low price points for books, along with the huge number of titles available in print. 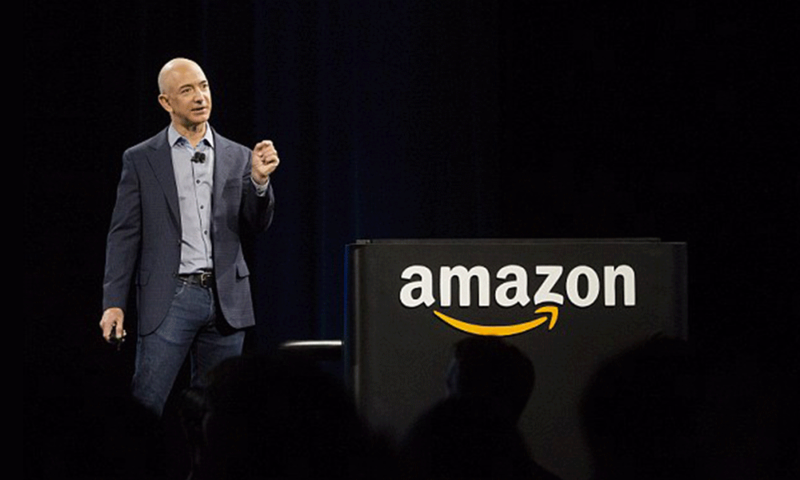 Amazon was founded in the garage of Bezos' home in Bellevue, Washington. The company began as an online bookstore, which was an idea spurred off with a discussion with John Ingram of Ingram Book (now called Ingram Content Group. Amazon was able to access books at wholesale from Ingram. In the first two months of business, Amazon sold to all 50 states and over 45 countries. 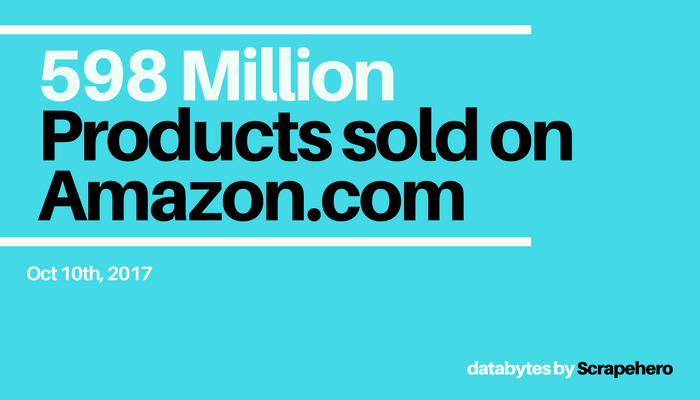 Within two months, Amazon's sales were up to $20,000/week. "We actually started to get e-mails from customers saying, `Would you consider selling music, because I'd really like to buy music this way, and DVDs, and ELECTRONICS ?" Bezos said in a recent interview. Amazon issued its initial public offering of stock on May 15, 1997, trading under the NASDAQ stock exchange symbol AMZN, at a price of US$18.00 per share. In 1998, Walmart sued Amazon, alleging that Amazon had stolen Walmart's trade secrets by hiring former Walmart executives Although this suit was settled out of court, it caused Amazon to implement internal restrictions and the reassignment of the former Walmart executives. 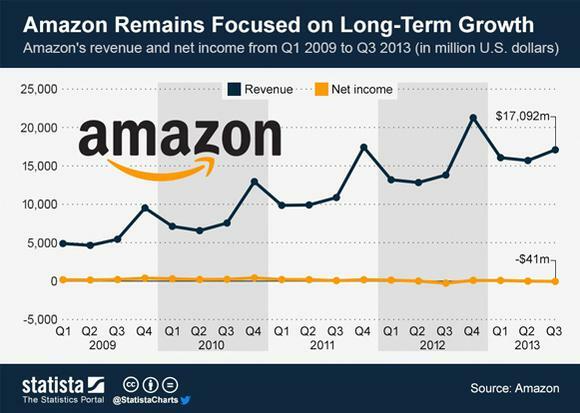 Amazon's initial business plan was unusual; it did not expect to make a profit for four to five years. This "slow" growth caused stockholders to complain that the company was not reaching profitability fast enough to justify their investment or even survive in the long-term. The dot-com bubble burst at the start of the 21st century and destroyed many e-companies in the process, but Amazon survived and moved forward beyond the tech crash to become a huge player in online sales. The company finally turned its first profit in the fourth quarter of 2001: $5 million (i.e., 1¢ per share), on revenues of more than $1 billion. This profit margin, though extremely modest, proved to skeptics that Bezos' unconventional business model could succeed. 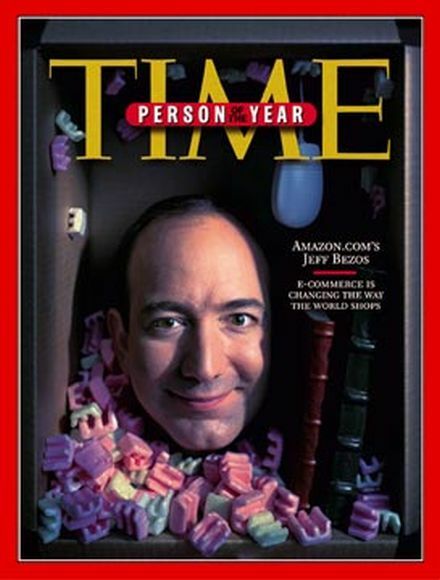 In 1999, Time magazine named Bezos the Person of the Year when it recognized the company's success in popularizing online shopping. The company has also weathered hard times that killed off most early online retailers. As the dot-com craze reached fever pitch, it made some bad investments in failures like living.com and pets.com. When the bubble burst in 2000, it scaled back and lay off 1,300 employees. And it took several years to post a profit. "During those bubble years while the stock price was going up 30 percent a month, we would have all-hands meetings, and I would ask employees, `Please do not feel 30 percent smarter because the stock went up 30 percent, because when it goes down 30 percent in a month, we'd have to feel 30 percent dumber,"' Bezos said. In 2011, Amazon had 30,000 full-time employees in the USA, and by the end of 2016, it had 180,000 employees. With $6.92 billion in sales in 2004, Amazon ranked at the top of Internet Retailer's annual top 400 lists, well ahead of COMPUTER maker Dell Inc., which posted $3.25 billion in online business-to-consumer sales. Office Depot Inc., which has a partnership with Amazon, wasn't far behind with $3.1 billion. Analysts say Amazon has won over the masses with its vast selection, a brand name everyone knows, a site that's easy to navigate and a reputation for reliability. The company employs 306,800 people worldwide in full and part-time jobs. The tech giant is the largest Internet retailer in the world as measured by revenue and market capitalization and second largest after Alibaba Group in terms of total sales. The amazon.com website started as an online bookstore and later diversified to sell video downloads/streaming, MP3 downloads/streaming, audiobook downloads/streaming, software, video games, electronics, apparel, furniture, food, toys, and jewelry. The company now also produces consumer electronics—Kindle e-readers, Fire tablets, Fire TV, and Echo—and is the world's largest provider of cloud infrastructure services (IaaS and PaaS).Amazon also sells certain low-end products under its in-house brand Amazon Basics. In 2015, Amazon surpassed Walmart as the most valuable retailer in the United States by market capitalization. 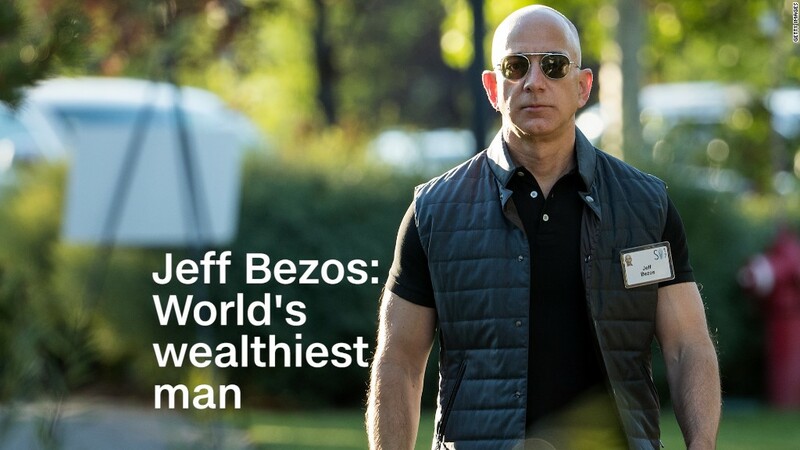 Amazon is the fourth most valuable public company in the world, the largest Internet Company by revenue in the world, and the eighth largest employer in the United States. In 2017, Amazon acquired Whole Foods Market for $13.4 billion, which vastly increased Amazon's presence as a brick-and-mortar retailer. The acquisition was interpreted by some as a direct attempt to challenge Walmart's traditional retail stores. What are Variable Costs in Economics? What is Random Access Memory?